Short but fierce, Rosie Cusswell has more muscles than most of the crew, and a fouler mouth than all of them put together. 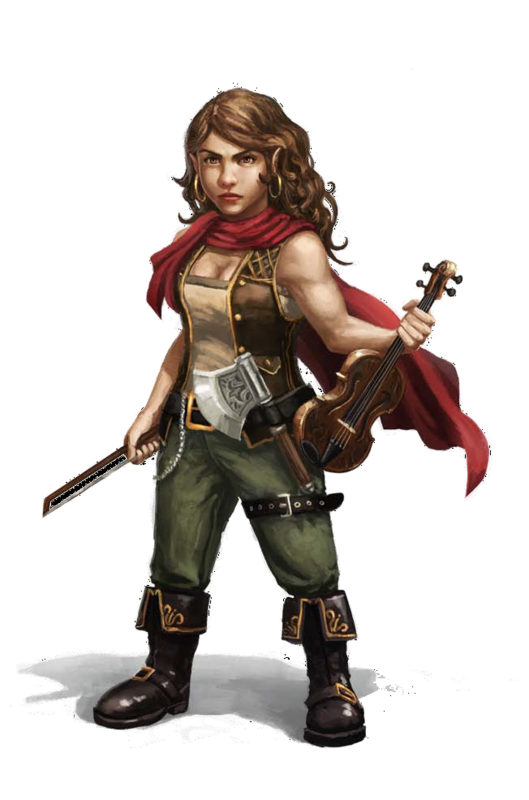 Rosie is from Port Peril, and like the PCs was impressed onto the Wormwood’s crew. She has been on board 3 days and has already made her mark by threatening to chop off the hand of anyone who messes with her with her beloved handaxe. She has a healthy hatred of Mister Plugg and Master Scourge, who did not take her threats kindly. Rosie loathes the attention of Conchobhar Turlach Shortstone, but secretly quite likes his style. Like many halflings, Rosie loves food, drink, and tall tales; anyone who provides her with them gains a +2 bonus on all checks made to influence her. 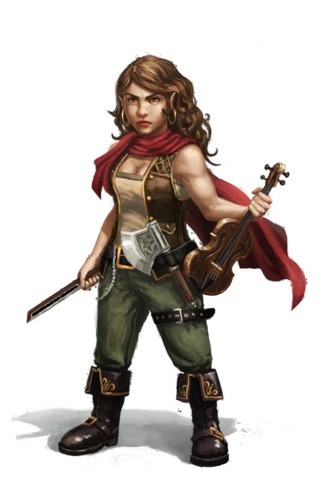 At the start of the adventure, Rosie is missing her fiddle, and has been unable to convince the quartermaster Cut-Throat Grok to give it back to her (having lost her temper when initially trying to do so). Any PC who can get Rosie’s fiddle back becomes her firm friend, and her attitude to that character permanently changes to helpful.